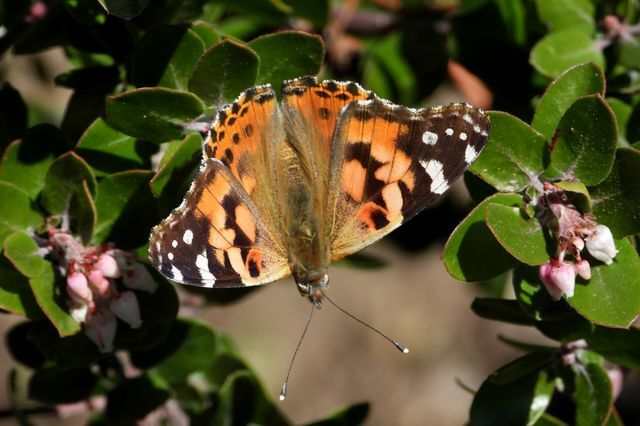 Painted lady butterfly at UCLA on a manzanita plant. 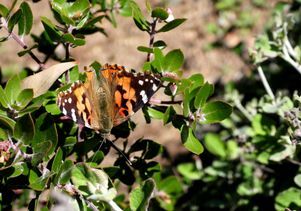 A painted lady butterfly at UCLA taking a rest on bush mallow during the 2019 mass migration. 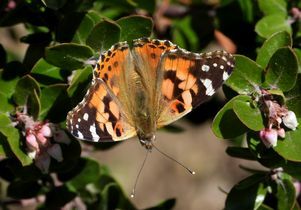 A painted lady butterfly at UCLA taking a rest during a mass migration in 2019. 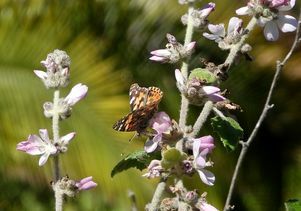 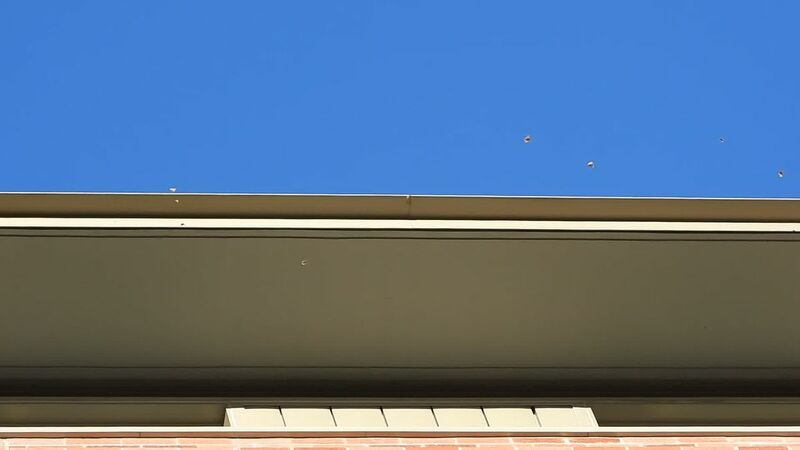 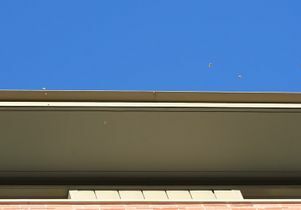 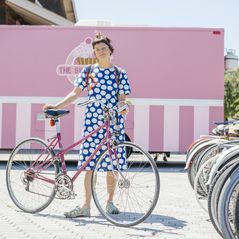 Painted Lady butterflies fluttering across the UCLA campus during a mass migration in 2019.